I genuinely enjoyed collecting my 20,000+ baseball cards. But it was obsession that drove me to buy almost 100 baseball statistic books before I turned 13. Numbers Numbers Numbers. My two most prized tomes were the 1988 edition of the Baseball Encyclopedia (Macmillan Publishing, 2875pp) and Total Baseball (1991, Warner Books, 2629pp). Every day, I'd pour over the thousands of pages, always finding players, seasons, teams, and league leaders that I'd never seen before. 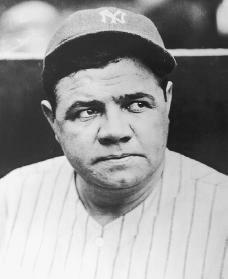 One thing that I would never acknowledge was that George Herman (Babe) Ruth was the greatest player of all time. Every book said he was. New metrics kept being introduced into the baseball stat lexicon and each one of them showed that Ruth was the best - SLG, OBP, OPS, OPS+, ISO, Batting Runs, Batting Wins, WAR - individual seasons, prime, and career. But I stubbornly dug in, looking to prove them all wrong. Then at some point in high school, I yielded. I objectively looked at the numbers and comparables. There's no dispute, there never was. Ruth is the best, in his time and for all time. I enjoy and respect Alfred Hitchcock's work. Rear Window has always been one of my favorites. Vertigo expands and mutates, changing colors every time I see it. I appreciate Strangers on a Train, North by Northwest, and Psycho, though considerably less than others do. La Nouvelle Vague worshipped him, as his films helped define the auteur theory. Major film journals still list him amongst the greatest or most influential filmmakers of all time. He is credited for sculpting and perfecting cinematic suspense and The Thriller, which is my personal bread-and-butter genre as a screenwriter. Yet I was never swept up by Hitchcock as so many others were. Fellini, Murnau, Keaton, Welles, Kurosawa, Polanski, Kieslowski -- these were the directors whose art consistently captured me, intellectually and emotionally. 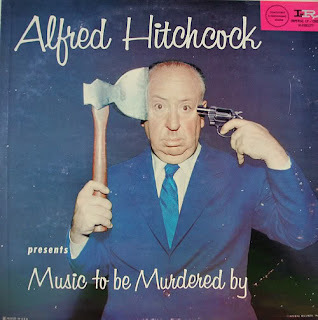 But as I continue along my screenwriting career, I've found myself being drawn back to Hitchcock's oeuvre......though not to those titles for which he's most famous. Rather to the films earlier and in between. How were all of his other films? What was his early work like as he began to hone his craft? When and what was his peak? Should I go the Full Truffaut and watch all of his available feature films? Because I'm a man of modest means, I purchased one of those ultracheap 20-film Hitchcock DVD packs that are abhorred by films purists (among whom I'm usually counted). 20 films squeezed onto 4 DVDs means that the video quality is nigh abysmal. But it's $5, man. And it contains almost all of his British Films. Sure he'll fumble a bit as he finds his style. Heck, at the start of his own career, Babe Ruth was a pitcher. Though a damn good one (curse you, Ruth!). 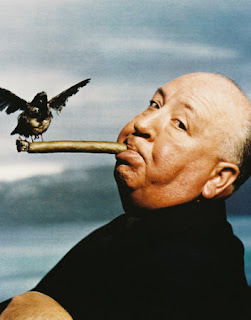 So, I would like to invite you to join me as I explore Hitchcock's career. Every Tuesday I will post my discoveries. I'll watch the crummy films so you don't have to. I'll recommend the best of the lesser known flicks. And maybe I can even work in some references to Ruth, comparing their progressing careers. I don't really know how or if this is going to work, but I'm going to find out. good idea... :-) if anyone could work in some babe ruth references it would be you. Thank you. Also, if anyone could work in some incongruous metaphors that don't make sense it would be me. They'll be there, swimming like halibut in heat, mark my words.